I’ve discussed lifestyle dementia here before, and the premise of Stephen Petrow’s “The Drugs of Work Performance Enhancement” certainly falls into a lifestyle choice that could have negative long-term effects neurologically. I got anxious just reading Petrow’s article, which discusses the “work-productivity” effects of taking the Attention Deficit Hyperactive Disorder drug of choice, Adderall, to “work” better. 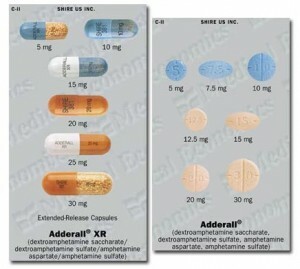 The risks associated with taking Adderall alone should scare people away from this lifestyle choice. It’s important to note that speech is commonly one of the first signs of cognitive issues. As I writer myself, I understand the chaos and the immense struggle sometimes to pull all the research and thoughts in my head together to present a cogently, well-organized, well-presented final outcome. Some days it’s impossible (and you just accept it and go on to something else), and other days everything flows. In reality, though, in the bigger picture, that’s kind of how life goes too. Some days work well and effortlessly and other days are just an uphill battle every step of the way. By tampering with and altering what seems to be the normal ebb and flow of how we humans operate in every area of life, in my opinion, is tantamount to playing God without being God (a very dangerous proposition of and by itself), and is possibly increasing the risk of developing, if not dementia, debilitating cognitive problems later in life. Many of the long-term effects are the same symptoms associated with dementia, and perhaps are indications of the neurological damage associated with dementia that can be specifically tied to the use of amphetamines. 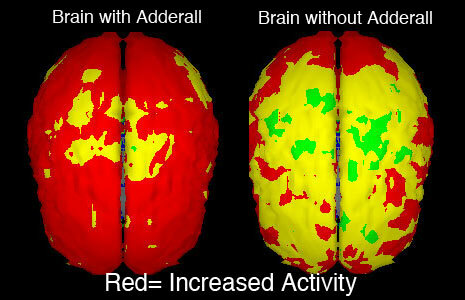 So while, as Stephen Petrow claims, there may seem to be short-term benefits to using Adderall to enhance work performance (I don’t agree with this at all), it is a lifestyle choice that presents the real possibility of long-term negative consequences neurologically. Most of the current elderly sufferers of dementias and/or Alzheimer’s Disease do not have a history of lifestyle choices that contributed to their neurological and cognitive impairments, although it is my opinion that the chronic stress of the exponential speed of change associated with technology along with living on a toxic planet, breathing toxic air, and eating and drinking toxic food and water are two major contributors to the increasing numbers of dementias and Alzheimer’s Disease sufferers we are seeing now. However, it is very likely, given the increased trend toward lifestyle choices that are targeted specifically toward affecting and altering cognition, that the next wave of dementia sufferers will be largely populated with these people who have voluntarily chosen to chemically manipulate the landscapes of their minds. Seems like it could only lead to problems taking a synthetic stimulant that strong for an extended period of time. Seems like it could only lead to problems taking a synthetic stimulant that strong for an extended period of time.. I think high blood pressure, seizures and stroke are concerns with stimulants. But Alzheimer’s? Well… high coffee consumption has been linked to later onset and reduced incidence of this and other forms of dementia. So probably not related. Anything that alters brain chemistry is a potential source of dementia. With these stimulants, the real mechanisms behind them are not completely known now and the long-term effects have not yet materialized. Additionally, high blood pressure is the front-and-center culprit in vascular dementia, stroke victims develop dementia, and seizures also rewire the brain. So to take a stimulant like Adderall (it has some applicable uses, but the potential unknown risks down the road remain) simply to improve work performance is a lifestyle choice that poses possible dementia risks in the future. My mother suffers from Alzheimer’s at 54. I recently got tested positive for having the APOE-4 gene, which is said to increase the odds of acquiring the disease from the norm of 15% to 35% my odds of inheriting the gene was 50/50. I also suffer from ADD and have taken Adderall irregularly. After reading this article, you may have scared me away from using again. Do you happen to have any additional information on brain health for APOE4 carriers? I appreciate your comments and I’ve found a site that is specific to APOE-4 carriers that offers credible information on protecting brain health. These are specific tips they give: http://apoe4.info/MWiki/index.php?title=Simple_preventive_steps. I have done a little research on early-onset dementia (which usually involves the APOE-4 gene) in another post, but I am planning a lengthier post on this specific type of genetically-related dementia in early 2016, so look for that in Janurary. 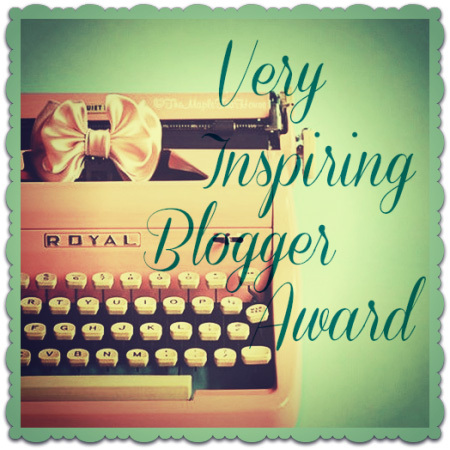 I’m sorry to hear about your mom and hope this blog helps you and her as you both navigate this journey. I also appreciate you reaching out and helping me to help you and others who are dealing with specific types of dementia, since my goal with this blog is to address and help with the entire dementias spectrum. Keep in touch and let me know if I can help you both more specifically or more personally along the way. Adderall before his first concussion, but was put on it for focus to help with school. After reading this post I am wondering if the adderall has made his symptoms worse. He just turned 30 and is losing his mind!! Adderall could certainly make your son’s CTE symptoms worse. The best advice that I could give you, though, is to make sure that you have a neurologist that specializes in TBI and CTE on your son’s care team. He or she would be able to analyze all the medications that your son is taking and remove/replace them so that your son has the best cognitive health that is possible with CTE. My prayers are with you, your family, and your son. Keep me posted on how things are going, please.